Phyllis M. Hedger, 84, passed away 6:30 am, Tuesday, October 2, 2018 at Bethalto Care Center. Born in South Roxana on June 6, 1934, she was the daughter of Gavin and Hester Huitt (Bell) Crandall. Phyllis was a nurse and nursing supervisor at Wood River Hospital for 24 years before retiring. 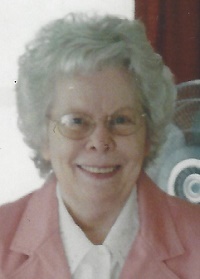 She enjoyed sewing and quilting, making dolls, taking small scenic trips, spending time with her grandchildren and taking pictures of her family. In February of 1957 in Wood River. she married Frank Hedger. He survives. Surviving also are a son, Brian (Melinda) Hedger of Troy; daughters, Janet (Kevin) Brueggman of Wood River, Nancy (Steve) LaTempt of Bethalto; seven grandchildren; nine great grandchildren; a brother, Robert (Aniece) Crandall in Virginia; and a sister, Dorothy (Donald) Schueler of East Alton. Her parents and a brother, Richard Crandall preceded in death. Visitation will be from 9 am until time of service at 11 am Friday at Marks Mortuary in Wood River. Memorials may be made to the Alzheimer's Disease Foundation.